Visibility/Location: The Realm of Terror is pretty easy to find, especially if you know where Kristof's Entertainment Center is. Near the entrance, there was a bright illuminated Kristof's sign, as well as a large, brightly illuminated "Realm of Terror" sign. To further increase visibility, there were orange traffic cones and parking attendants, to lead you into the parking lot. Wait Entertainment: There were multiple actors, interacting with the people waiting in line. Movies were also being played on TV screens and there was a full service bar in the queue line area. Above the entrance archway, there was a flamethrower that was triggered occasionally, which really got everyone's attention. Crowd Control: They did a good job in this category. I didn't see or run into any other groups, with the exception of once in the white fog maze, but that really couldn't be avoided, considering the nature of this part of the attraction. This year, the Realm of Terror switched things up a bit, changing the overall theme of the attraction. The insane asylum motif that they have had for a number of years now was cleverly adapted to scenes of biological engineering experiments gone wrong. The tour started with my group being led into a "freight elevator", where we were shown an introduction video on a flat screen television. The video established the storyline of the attraction, welcoming us to "Quixotic Labs", a biological research facility. As we descended in the elevator, the video described some of the biological engineering experiments that were being conducted there. Toward the end of the video, warning buzzers went off and through a closed-circuit video feed, we witnessed mutated creatures attacking the staff. At that point, we were told that they were having technical difficulties with the elevator and that we would have to walk up the stairs, to get out. That really set the mood for what would happen throughout the rest of the haunted house. The Realm of Terror has always had a lot of graphic scenes and this year was no exception. Many of the rooms were either disgusting or gory, or both. This is definitely not an event for young children. In the bathroom scene, the toilet and sink were smeared with feces. Other areas featured bloody dead bodies, hanging body parts and piles of entrails. In one scene, an actor was straddling a patient on a hospital gurney, eating his intestines. In one hallway, we had to push her way through twitching body bags that were hanging from the ceiling. In a number of areas, the exit wasn't perfectly obvious and we had to push a door panel open, to continue. The vast majority of areas inside the attraction followed the central theme; however, there were a couple of scenes that weren't a perfect fit. One example was the dentist office. It didn't seem to fit in exactly, but it was enjoyable, nonetheless. My personal favorite was the swinging room. As my group entered, the whole room moved from side to side. To make it through, we had to push aside several burlap-wrapped bodies that were hanging from the ceiling. To make it even more of a challenge, a couple of actors in the room blocked our path, making us change our direction. The last half of the attraction consisted of a fog maze and a dark maze. The fog maze, as the name implies, was filled with thick, dense fog. Multiple strobe lights reflecting off the white walls and fog made it impossible see where you were going. To further disorient patrons walking through, there was a loud, pounding music soundtrack playing in the background. The actors in the fog maze had us going around in circles, literally. There were a couple of times when they blocked our path and told us to go in the wrong direction. I'll have to admit this was a lot of fun at first, but it got to be a tad annoying when we were blocked in and they wouldn't let us out for 5 minutes. The dark maze was completely dark and we had the feel away along the walls. Actors hiding in corners kept us on our toes, the whole way through. Some did their best to scare us, while others just whispered "you're going the wrong way". The actors in the Realm of Terror did a great job. Their enthusiastic and spot-on performances helped to maintain the high energy level and fast-paced nature of this attraction. Most of the actors were very animated and some even excessively so. I saw one of the actors climbing up on a chain-link fence and in another area, and actor was hanging upside down from the ceiling. My only real complaint with the Realm of Terror was that there was way too much fog. In some areas, like the fog maze, it was appropriate. Unfortunately, there was a thick haze of fog throughout most of the attraction. It's a shame, too, because a lot of the detail in the rooms was hidden under a cloud of fog. Overall, I really enjoyed my experience at the Realm of Terror. 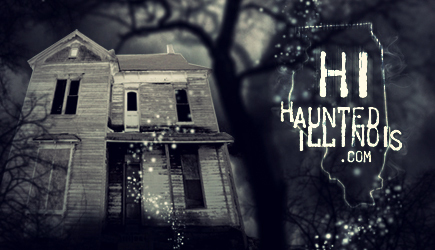 It was a lot of fun and a decent value, so be sure to add this to your list of haunted house visits the season.